Volkswagen, Europe’s leading car manufacturer today, announced a special ‘Ameo Corporate edition’ catering to corporate and business customers. The Ameo Corporate edition is available at a special introductory price starting at INR 6.69 Lakh for the MPI Highline Plus MT variant and continues to offer the best of German engineering in the compact sedan segment. Exclusively designed for the Indian market, the Ameo caters to the young generation of entrepreneurs, businesses and individuals that are full of energy, focused and passionate about their work. The Ameo Corporate edition equipped with segment leading features and safety elements and is built for those who are simple, modest and allow their work to speak for themselves. The made-for-India and made-in-India Ameo is carline specifically developed for the Indian market. It’s a true testament of German engineering in a compact sedan filled with segment leading features. Through the Ameo Corporate edition, we aim to offer globally renowned standards of safety, quality and fun-to-drive experience to all our customers” The ‘Ameo Corporate edition’ will offer supplementary value added benefits to the product and services as well. For more details, customer can visit their nearest showroom. 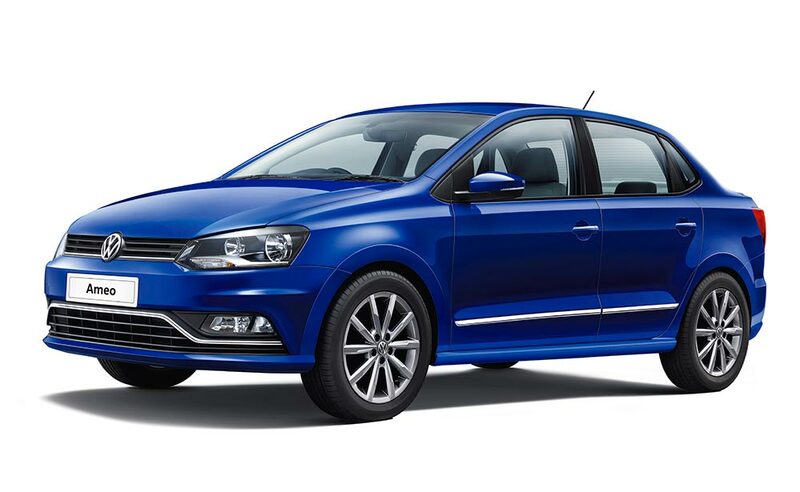 Volkswagen Ameo is available in two engine options – 1.0L MPI and 1.5L TDI engine. Giving consumers the convenience of an array of colours, the Ameo is available in 5 colours – Lapiz Blue, Reflex Silver, Candy White, Toffee Brown and Carbon Steel. For Volkswagen, safety is of paramount importance and hence, all variants come equipped with dual front airbags, galvanized steel body and ABS as standard. Keeping in focus the comfort and convenience of its driver and passengers, Volkswagen Ameo is equipped with segment leading features like cruise control, rain sensing wipers along with static cornering lights and the dynamic Touchscreen multimedia music system with AppConnect, Auto air-conditioning system.